I have multiple style personalities, but basically I love anything with chippy paint and is lovingly worm. So this style quirk works with both shabby chic and prim decor. I think that Prim is the perfect style for Fall, and specially for Halloween! I've spent part of my evening looking through the pages of Etsy and have been finding some really awesome Prim artists and making a shopping list, of course. I'm like a little kid as soon as I get a bit of my money in my Etsy account I have to spend it, lol. 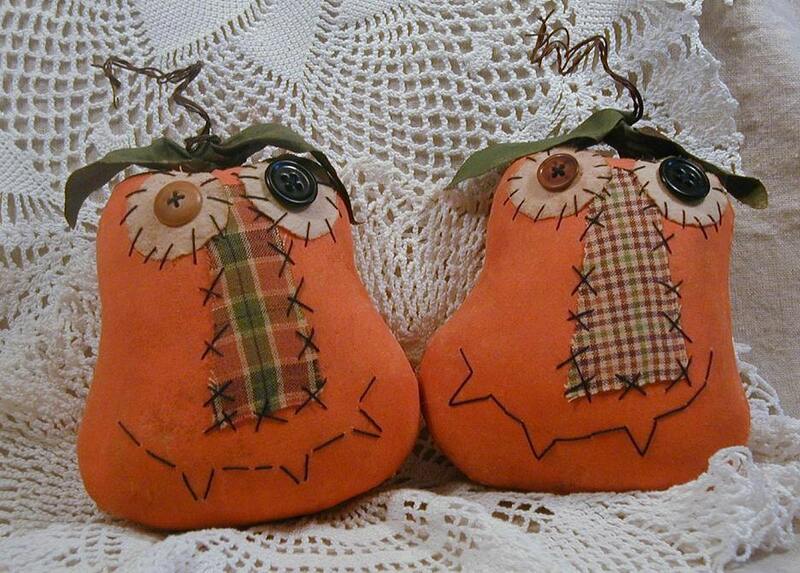 These adorable Primitive Silly Punkins Ornies or Tucks come from Buttons in the Attic, a very creative artists with lots of treasures for your Fall decor. 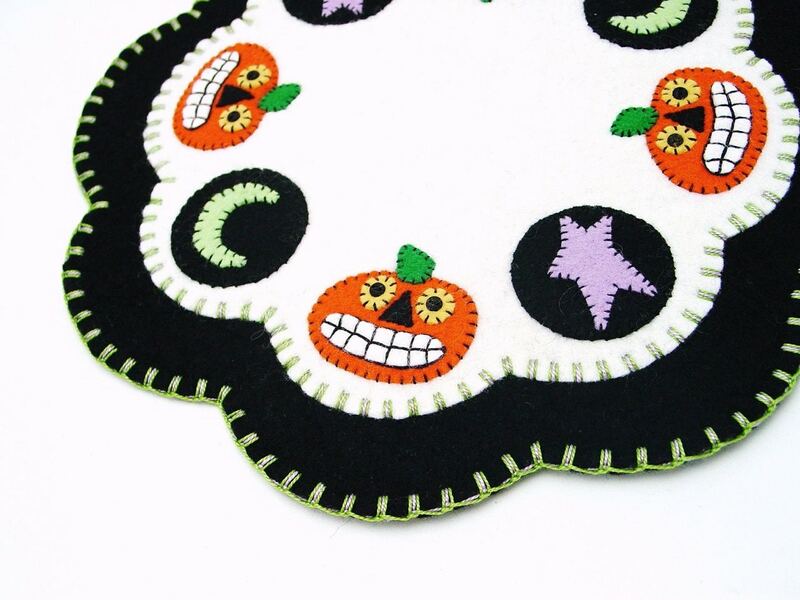 And how cute is this Penny Rug from Penny Rugs for the Holidays with it's whimsical pumpkins and bold color palate. 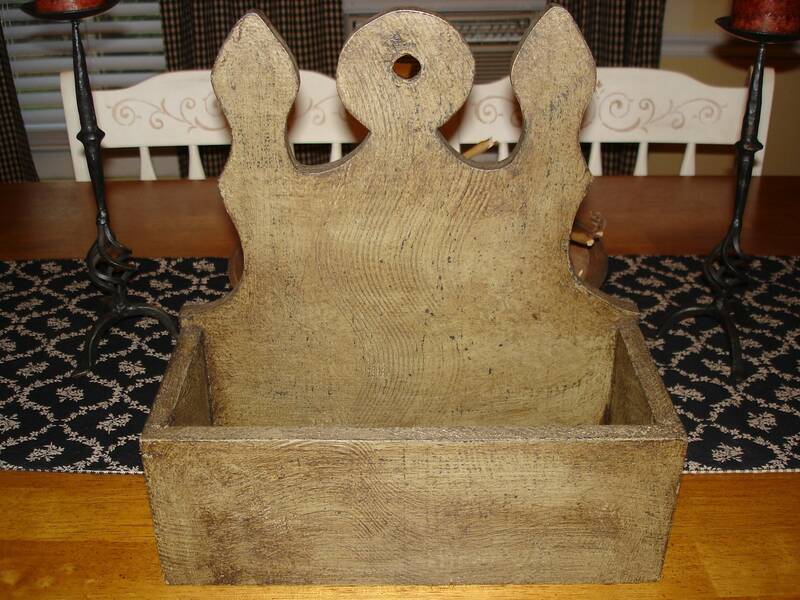 I've been looking around the house to see where I could use this very cool Colonial Style Candle Box from Crow Hollow Primitive. I love the color and simple lines﻿ and it has so many uses. I'm thinking it might actually look great in my office at work! And... 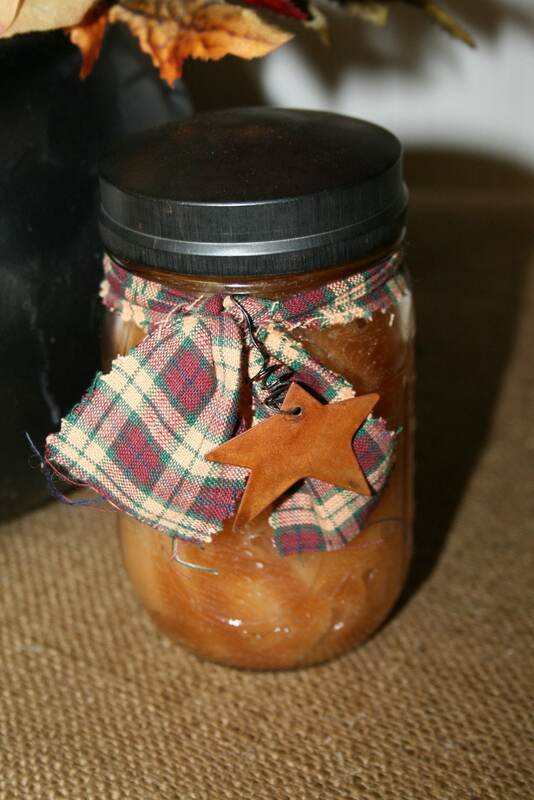 I'm a sucker for fall spice candles, this one from Natures Glow Candles comes adorned with a plaid ribbon and rusty tin star and has the wonderful aroma of Halloween Candy Corn, oh yum! Thank you so much for featuring my Silly Punkins! Love all the other goodies you have featured as well! I am never disappointed with the great ideas you share. You scored again! Thanks - I haven't made anything very Halloween but these will be made soon. Thanks for this simple and groovy idea.